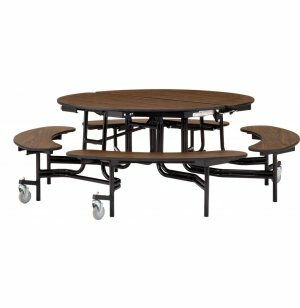 Folding Round Bench Cafeteria Table–MDF, ProtectEdge 60” dia. 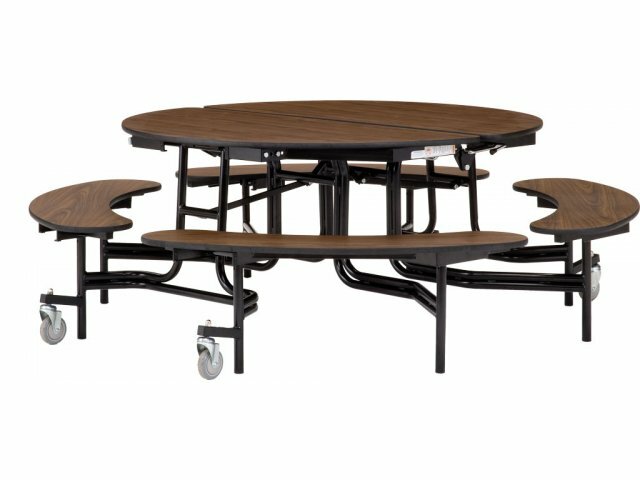 This round cafeteria table has an MDF core for extra sturdiness. 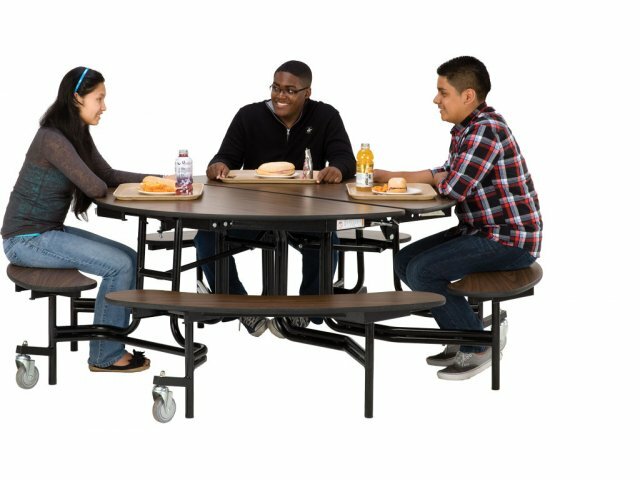 ProtectEdge around the surface prevents dirt and germs from getting stuck in the table.